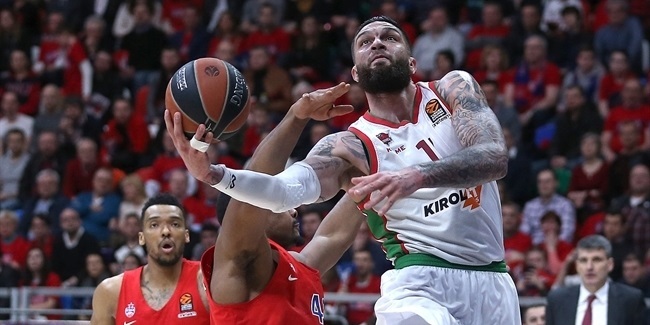 To end a week where road teams suffered one tough defeat after another, two-time Euroleague champion Georgios Printezis changed that tune big-time for Olympiacos Piraeus on Friday night with a career-best performance that more than earned him the bwin MVP honor for Game 2 of the playoffs. Printezis amassed 22 points and 9 rebounds for a 34 performance index rating, the best of his illustrious career and the best of any player in the first week of the playoffs. He only missed 3 shots and also collected an assist and a steal in leading the reds over FC Barcelona 63-76. Game 2’s next-best performance came from Anadolu Efes Istanbul point guard Thomas Heurtel, who set a Euroleague Playoffs record with 15 assists while racking up a performance index rating of 31. 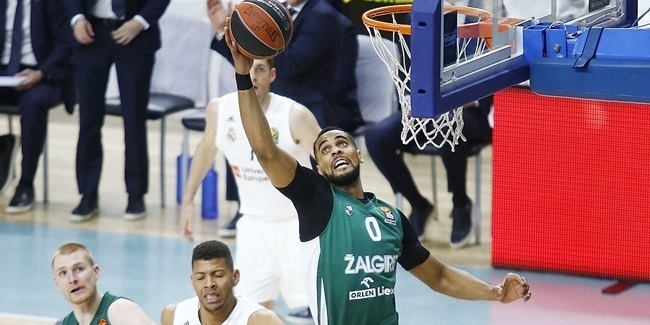 Despite his effort, Efes fell short 90-85 at Real Madrid. Heurtel finished with 16 points on 3-of-5 three-point shooting, 6 rebounds and 2 steals. He also drew 9 fouls. Many of those assists went to Efes center Nenad Krstic, who was next on the list of Game 2 stars with a 29 index rating. Krstic made 7 of 10 shots and scored 23 points in addition to 6 rebounds and 2 assists. Madrid guard Sergio Llull helped his team to that victory with 18 points, a career-best 12 assists, 2 steals and a performance index rating of 26. Rounding out the list of Playoffs Game 2 best performances were Rudy Fernandez of Real Madrid and Andrei Kirilenko of CSKA Moscow, each with index ratings of 21. 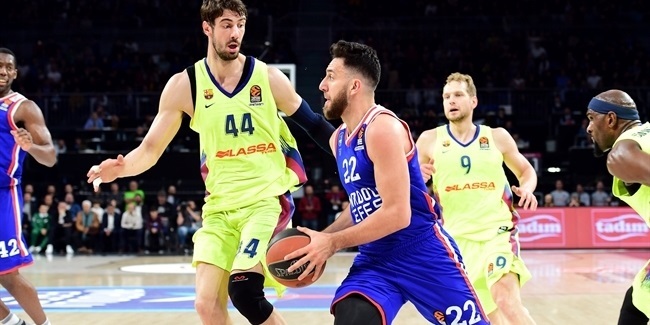 Rudy tallied 15 points and 7 assists, while Kirilenko led CSKA to a 100-80 victory over Panathinaikos Athens with 16 points, 4 rebounds, 3 blocks and 2 steals. The 23 points scored by Nenad Krstic marked the most in Playoffs Game 2. Nemanja Bjelica of Fenerbahce Ulker Istanbul came within 1 rebound of tying the Euroleague Playoffs single-game record as he compiled 15 in a home win over Maccabi Electra Tel Aviv. Bjelica is second in the league this season with 8.7 rebounds per game. Thomas Heurtel climbed to second in the league with 6.5 assists per game after his Euroleague Playoffs record 15 assists. Maccabi forward Brian Randle recorded 5 steals to lead all Playoffs Game 2 participants, while Andrei Kirilenko topped Game 2’s blocked shots chart with 3. Three players recorded double-doubles in Playoffs Game 2. Ante Tomic amassed 14 points and 14 rebounds, while Heurtel and Llull did theirs with points and assists.